Judging by the amount food apps on my mobile, cookbooks in my kitchen and recipes on Pinterest, you would think I was an aspiring Ina Garten! But if you follow my blog, you probably know by now that I have fallen victim to ‘busy,’ a popular side effect of residing in Dubai. I’ve had the same 5 recipes in rotation since I moved here: spaghetti bolognese, chili, stir fry, baked salmon or chicken with potatoes and enchiladas, my pride and joy. My inner chef is not proud. Planning a menu, grocery shopping, washing, chopping, measuring and marinating, all before you actually start cooking, I get exhausted just thinking about it. It seems the food gods were looking after me last month when Cook-a-Box reached out to me to give their dinner box delivery concept a try. A box delivered straight to my house piled high with pre-measured ingredients and a detailed recipe, yes please. 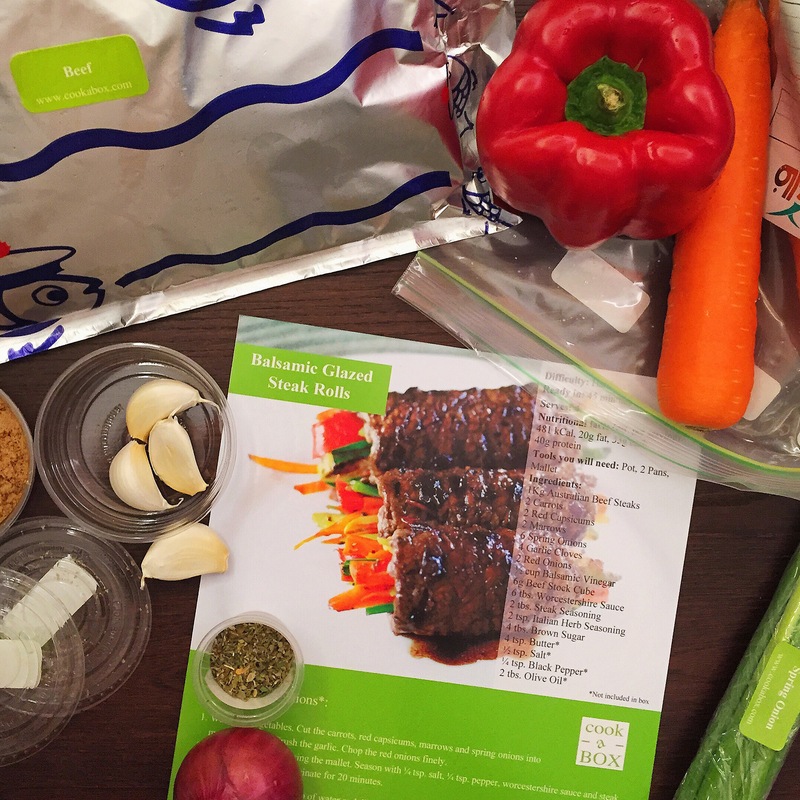 The process was simple, go online, select a recipe, receive the box and cook. I browsed the 70+ recipes, carefully studying the variety of dishes which range from Reza Mahammad’s Rajasthani Lamb Curry to Vegan Coconut Corn Soup and Ina Garten’s Indonesian Ginger Chicken to Gluten Free Cauliflower Crust Margherita Pizza. 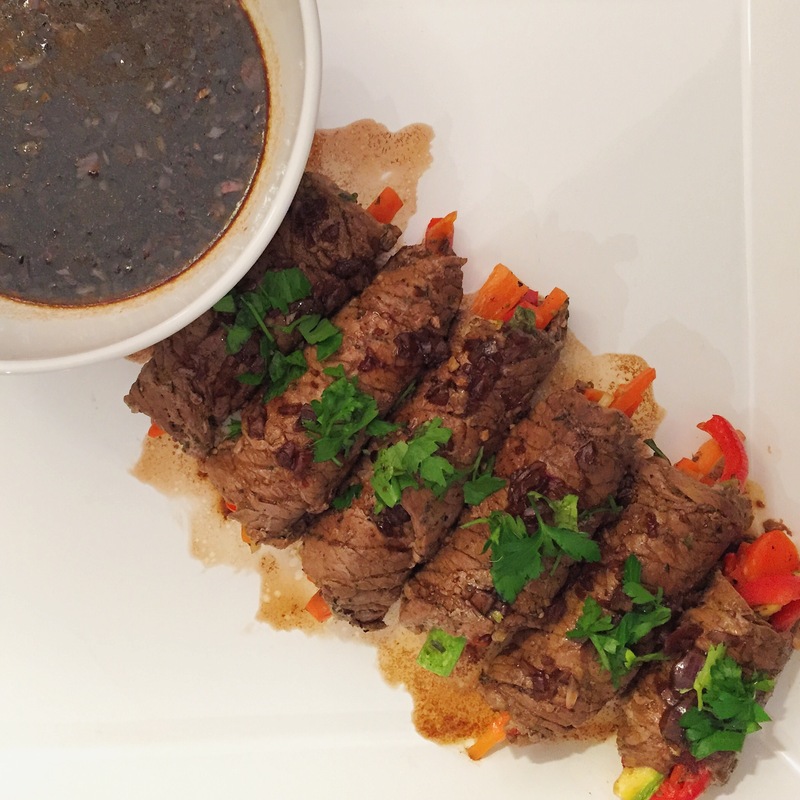 I ambitiously settled on the connoisseurs choice, Balsamic Glazed Steak Rolls, probably one of the hardest recipes on their website. Challenge accepted. 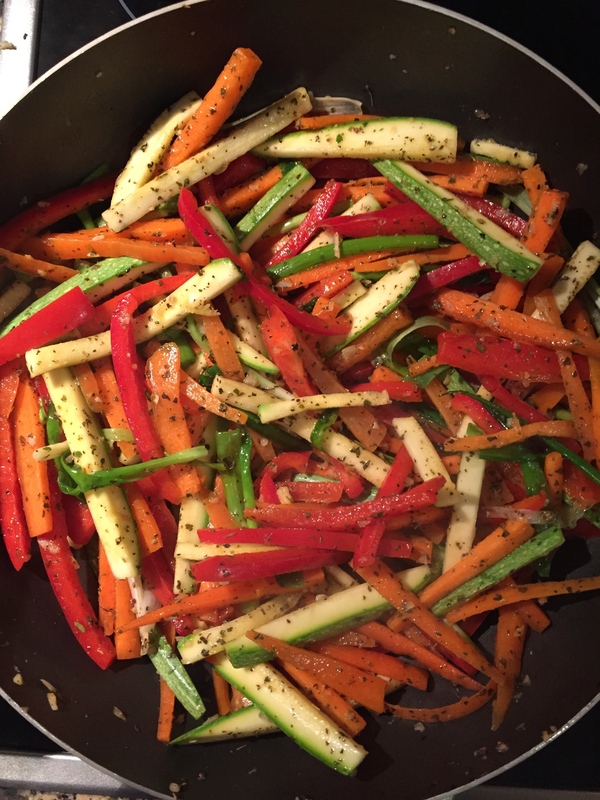 When the box arrived, I pried it open like a child, the recipe was tucked away alongside thinly sliced Australian Steaks and a colorful assortment of vegetables, sauces, seasoning and spices. No cruising Pinterest for recipe ideas or making an emergency run to Carrefour to pick up groceries. No thinking was required, a quick glance of the recipe and I got started. My first task was to pound the steaks with a mallet, I panicked when I remembered that I don’t own a mallet. With no time to waste, a potato masher would have to do. 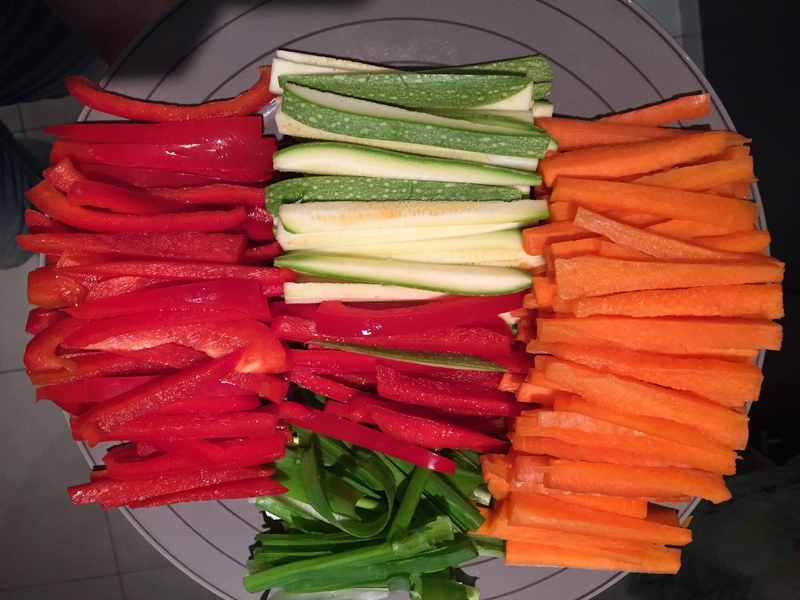 With the steaks pounded and marinating in the fridge, I was on to the most tedious task of the evening, washing and slicing the bell peppers, carrots, spring onions and zucchini. On to the sauce, it wasn’t until the onions dissolved into the butter and I added the balsamic vinegar, brown sugar and beef stock that the flavors of the meal were revealed. The pungency of the vinegar was quickly balanced by the caramelized onions and savory stock. 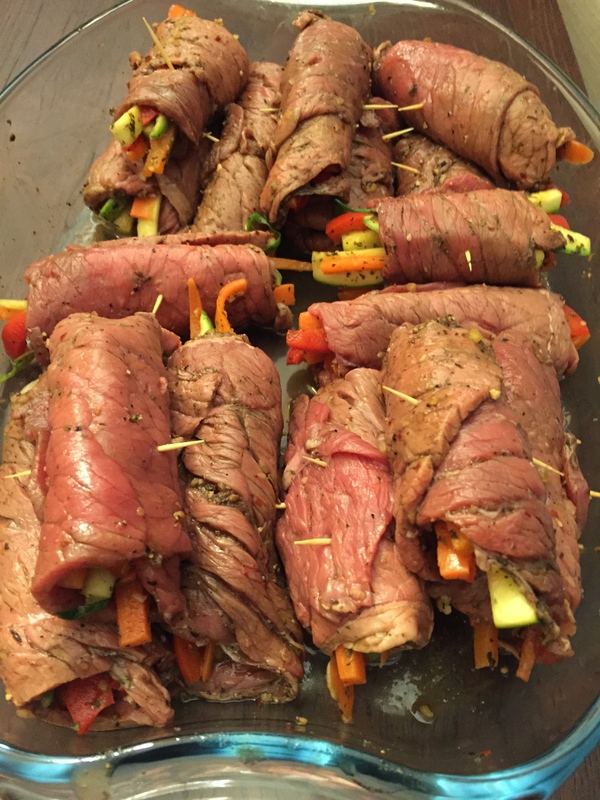 After sauteing the vegetables I enthusiastically stuffed the 16 slices of steak with vegetables, rolled, sealed and pan fried them on all four sides. 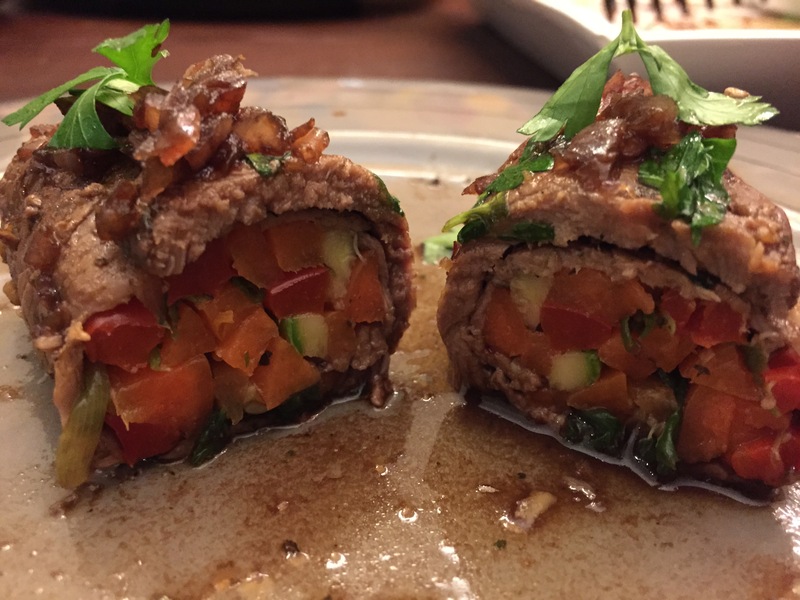 I drizzled the balsamic glaze over the steak rolls and bon appétit, dinner was served. 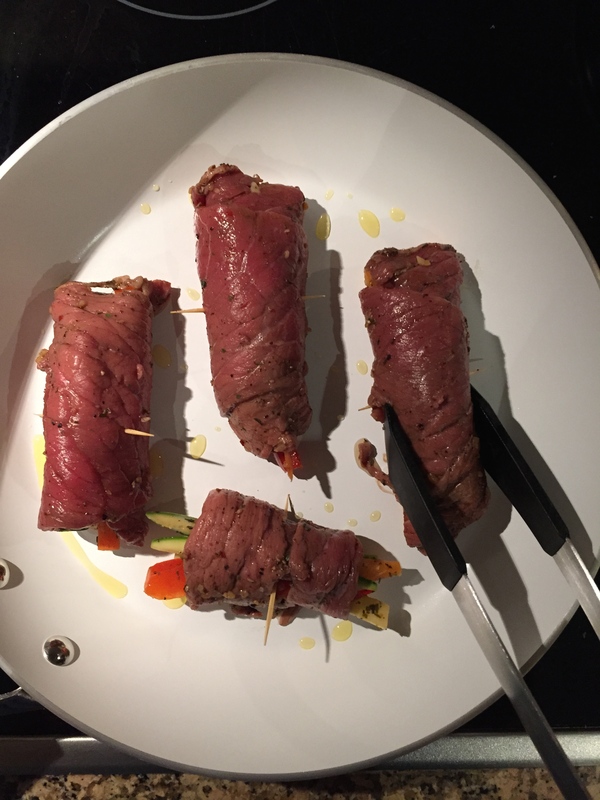 The meal was a crowd pleaser, crunchy with a depth of flavors all wrapped up in a beautiful cut of meat and paired in contrast with a sweet yet acidic balsamic glaze. The miscalculated cooking time was the only hiccup, the meal was estimated to be ready in 45 minutes however took me just over 2 hours to prepare. Otherwise, the portion sizes were perfect, the quality of produce and meat was high and ingredients were packaged, measured and labeled professionally. 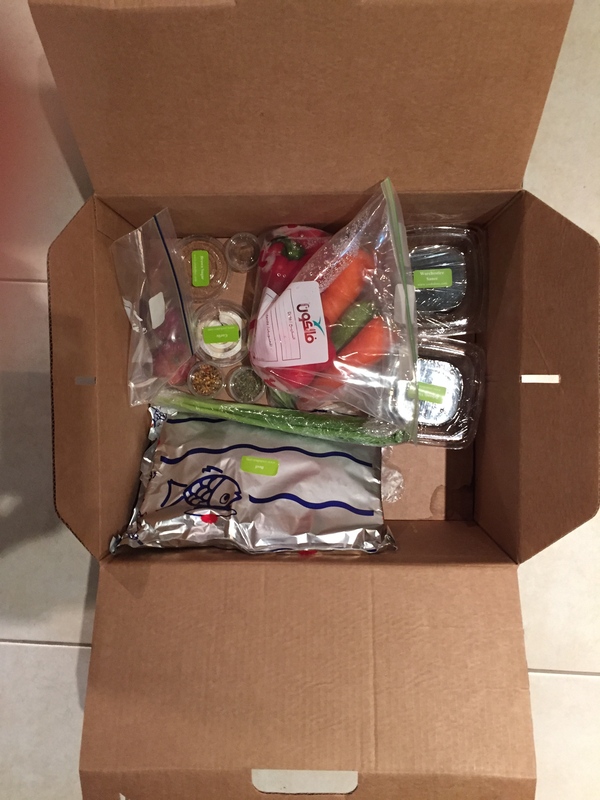 The fuss free convenience of Cook-A-Box will keep me coming back for more, in fact I’ve just subscribed to the Weekly Plan. 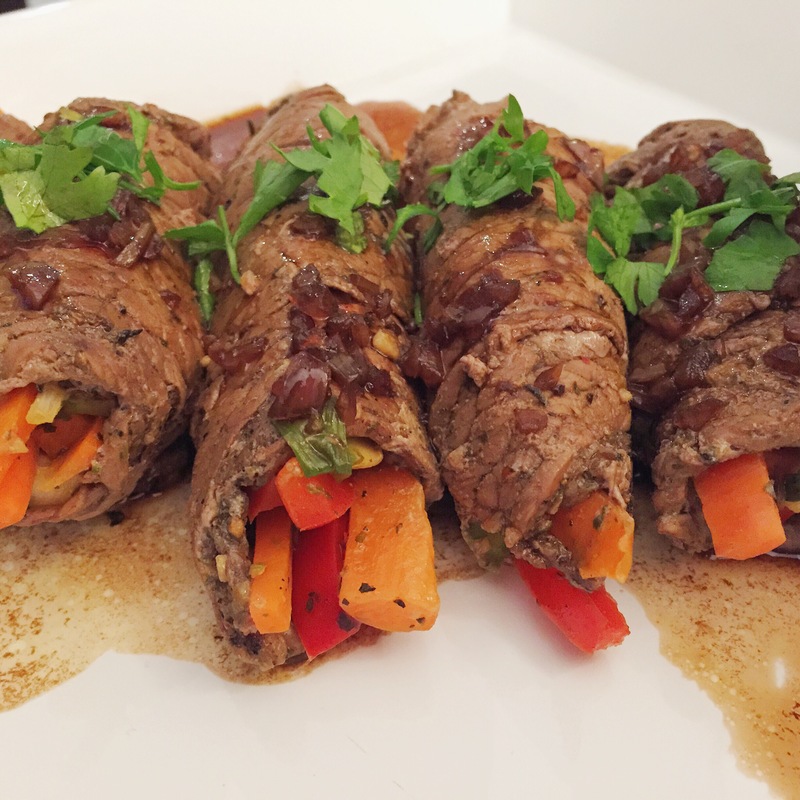 Maple and Ginger Glazed Salmon, White Bean Coconut Curry and Japanese Beef Teriyaki are on the menu next week. My taste buds and my inner chef eagerly await the arrival of my next box. 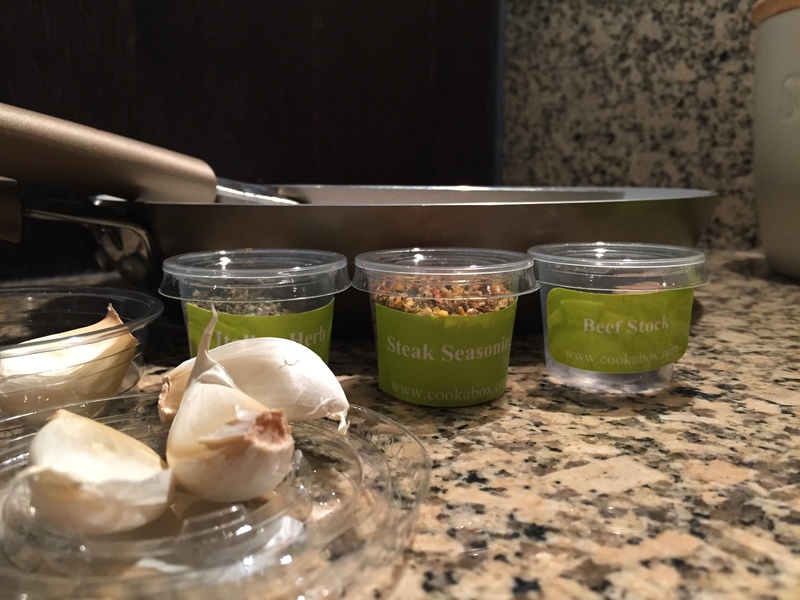 First time customers can subscribe for a weekly package from Cook-a-Box and get the second week free of charge. To avail the offer, please send an email to hello@cookabox.com and mention “Memoirs of a Taste Bud” in the email. Disclosure: I did receive a complimentary box from Cook-A-Box however all opinions expressed here are my own. Hate the prepping stage too! I always rely on the pre-cut fresh veggies from Barakat. Out of curiosity, do they mention the brands that they use for the sauces and seasoning? Washing and chopping is the worst haha! They don’t mention the brands however I’m sure they would let you know if you emailed them. I swapped the bouillon cube for my personal fav, Kallo, so you can make your own amendments if you prefer a specific brand of one particular ingredient.